There is a huge difference between a dull photograph of Yosemite Valley and an Ansel Adams photo. Adams didn't photograph Yosemite Valley, he shot the weather in the valley. In the same way, there is a lot of bad surfing photography. It's the same shot over and over, someone tube-riding shot from below. 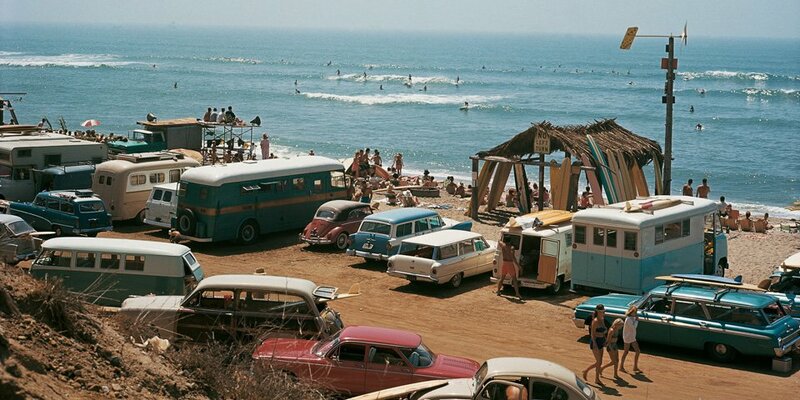 LeRoy Grannis' photos, however, are good, really good, surfing photos. They are not the same shot over and over. 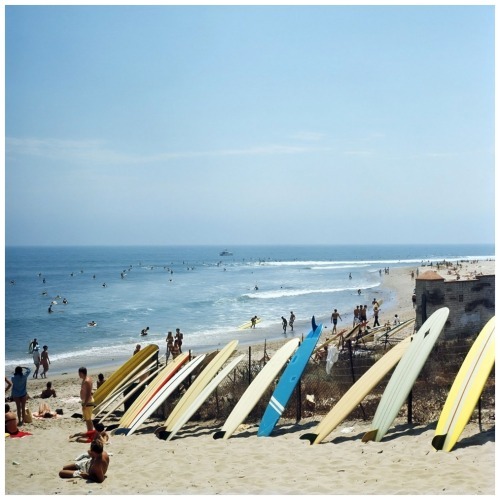 Beside the obvious issues of lighting, composition, color, and content, Grannis' images work because they are not photos of surfing. He photographs the people surfing. The images are about culture and community. 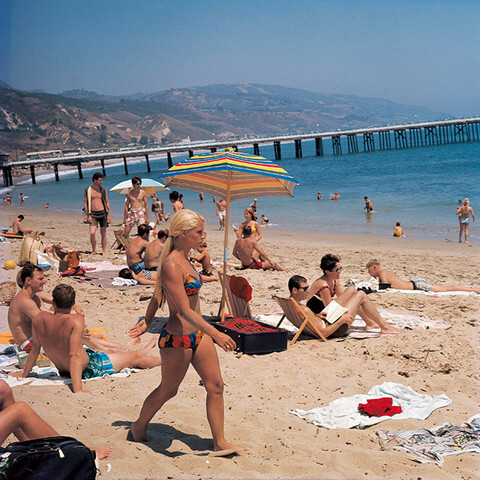 They objectively depict the surf community in the 1960s and 70s. This separates the work from traditional sports photography. The action is the backdrop to the individuals in the frame. They also work because everyone is super groovy, even the elderly spectators with bitchin' sunglasses.